Sheet metal is metal which has been manipulated to become thin sheets in order to be bent and cut to create structures and forms. Sheet metal fabrication is the process of utilising these ‘sheets’ to bend and cut into those structures. What are the stages of sheet metal fabrication? Cutting – a number of different tools can be used in order to cut the sheet metal to the desired shape or fit. At Electropak, we focus on laser and water jet cutting, as we believe this provides us with the most accuracy and precision, which is vital for ensuring the product is of the very best quality. Bending – Through the process of CNC hydraulic press brakes, we can form the fabricated parts required for your needs. This enables us to produce even the most complicated of shapes. We’ve also created our own bespoke tooling, which allows us to develop these complex products. Assembling / welding – Once shaped and bent, the product will require assembling, which is completed through joining the pieces together through welding or crimping; again, another technique completed through the bending method. The result of this assembling and welding process is why the entire method is known as ‘fabrication’. Sheet metal fabrication has a number of benefits. At Electropak, we ensure that we utilise the most up-to-date CNC technology in order to be as accurate and efficient as possible when cutting sheet metal. Through laser and water jet cutting, we can precisely cut and shape, with little excess waste or notch marks. The fabrication process allows us to deal with different types and different thicknesses of metal, which means we can adapt and manipulate the material to create specific products for our customers. 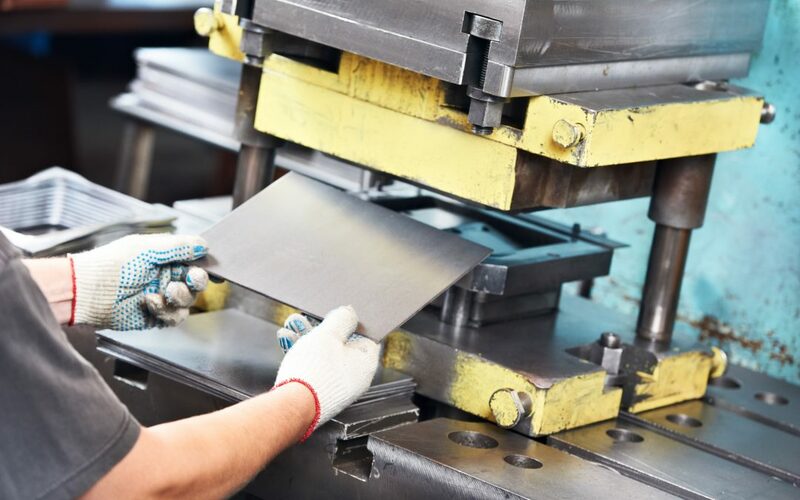 Because of the nature of sheet metal, it tends to be very robust and strong, which means it can be used for various different means, particularly within the aerospace industry. The way in which it’s treated can also aid its durability; powder coating offers a protective layer over the sheet metal, almost like a skin. You can find out more about our sheet metal fabrication service here, as well as an example of the work we’ve completed for a range of different sectors. If you’d like to get in touch about our fabrication service or any other services, please use our contact form.